Unmatched linearity over the entire shock stroke. No sagging or spring fatigue over 6X longer than competing products. 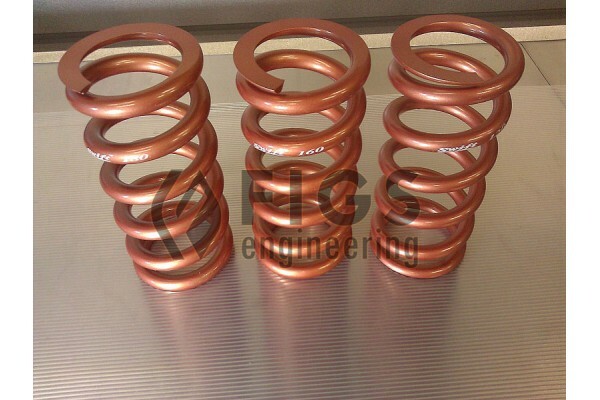 The ability to increase spring rates within the damping capabilities of your existing shocks, typically one decade(100lbs-in/ 2Kg/mm). Sold in PAIRS of 2 springs, so if you need front and rears please add the different rates as separate items. Helper and assist springs also available but contact us to ge tmore information.